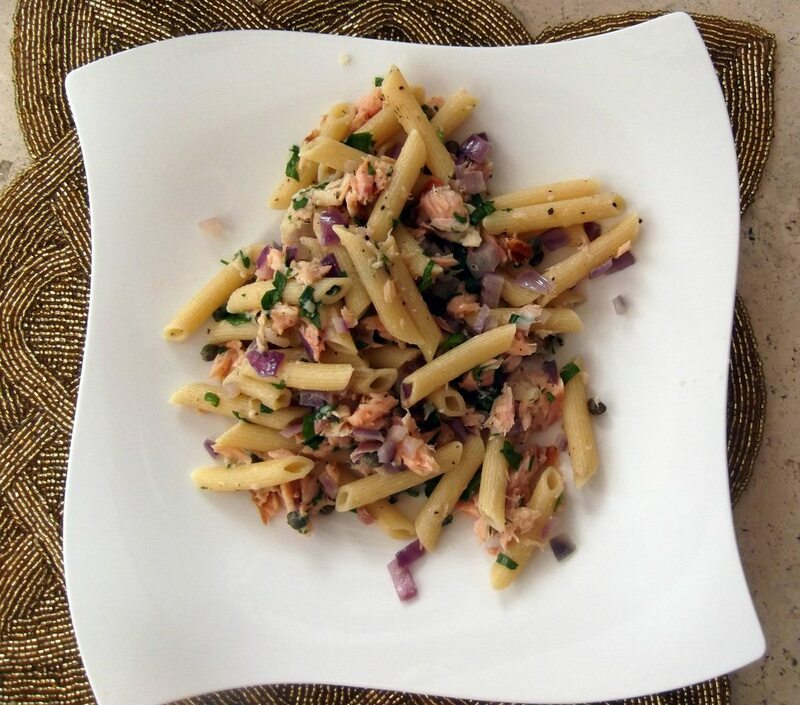 Tonight my wife made penne pasta with Sam's delicious smoked salmon, capers, chopped & sauteed red onions, parsley, and fresh shaved parmigiano cheese, mixed with olive oil & some leftover pasta water The smoked salmon was delicious. It wasn't overpoweringly smoky. 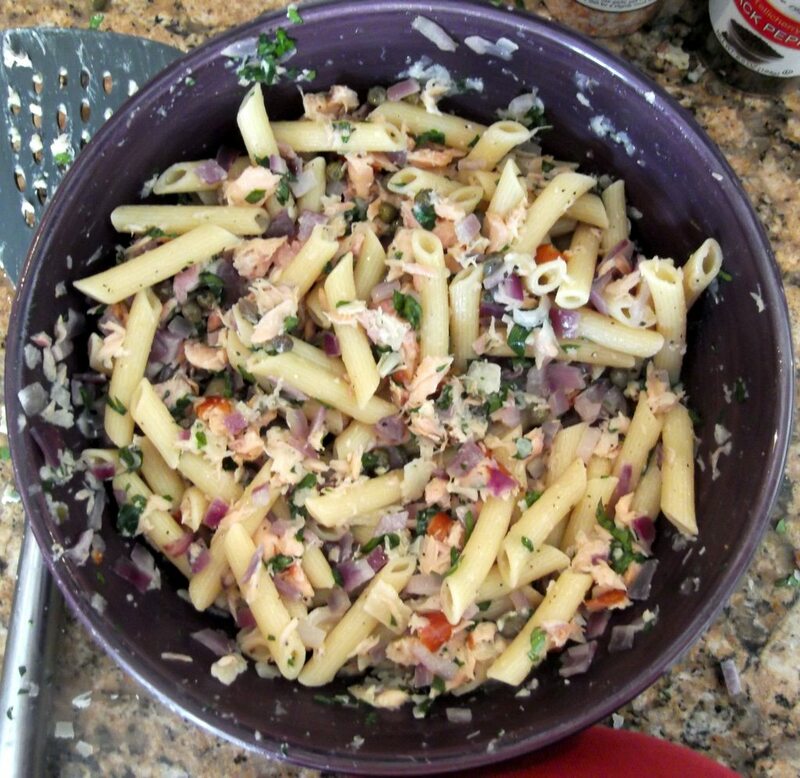 The capers & red onions went well with it as well. Last Saturday, I had it on a crispy toasted everything bagel, with jalapeno cream cheese, for breakfast. It was a perfect combination. I hollowed out the inside of the bagel, to remove most of the breading, so it was mostly just the crust.